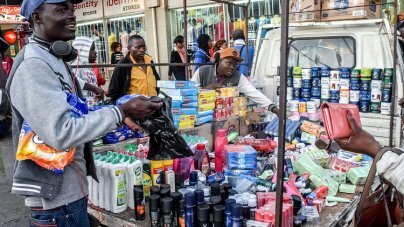 ZIMBABWEAN companies are feeling the negative impact of the influx of smuggled goods on the local market. These companies have implored Government to take swift and decisive action to deal with the scourge already affecting several sub-sectors of industry. Captains of industry told The Sunday Mail Business that average industrial capacity utilisation, which currently stands at about 50 percent, could grow significantly if cheaply priced smuggled imports were prevented from entering the country. The bulk of the products, ranging from fast moving consumer goods (FMCGs) such as cooking oil, bath and laundry soap, cereals, cultured milk and washing powder, among others, to vegetables and hardware, have their importation restricted under SI64 of 2016. It emerged that law enforcement and regulatory authorities have allegedly turned a blind eye to the smuggling of imports on the informal market, while in isolated instances formally established businesses were reportedly trading in contraband. Further, the country’s police force (border control) is not equipped enough to be able to patrol and apprehend smugglers who bring contraband through illegal entry points, amid revelations that there are more than 20 such points at Beitbridge alone, the country’s busiest port of entry. This emerged during a workshop organised by the Confederation of Zimbabwe Industries (CZI) last week on border management, which was held under the theme “Border Control: The scourge of smuggling”. CZI president Mr Sifelani Jabangwe said local companies and industry were facing a big problem in the form of smuggled goods, which have flooded the market, but the law was not being enforced, with industry paying the price. The country’s single largest representative of manufacturing companies said findings from a research by the Zimbabwe National Chamber of Commerce (ZNCC) estimated that US$2 billion worth of goods were being smuggled into Zimbabwe annually. “The biggest issue that our members are complaining about is that nothing is being done about it. Once someone has smuggled the goods, they can trade them, without anyone asking about it; they can be in the street or in the shops. “That is what our members are complaining about to say that they are laws to be complied with, there is Zimra (Zimbabwe Revenue Authority), which is at the border, there is ZRP. ‘‘If someone has smuggled goods, there are laws in terms of which that should be dealt with,” he said. “Our members know where the goods that are smuggled are traded, but when they make reports, nothing happens, so we are saying that is the gap. It’s the authorities that are supposed to ensure laws are implemented,” Mr Jabangwe added. He pointed out that while the Ministry of Industry, Commerce and Enterprise Development is aware of the issue, it does not have enforcing powers to arrest or stop the illegal conduct without help from other parties. “Some of our members, when these goods come, have to close shop for a month or two until those goods have been sold because the goods deprive them of their market,” Mr Jabangwe said. The CZI president said that if the illegal imports were paying duty, Government would earn additional revenue. Other participants at the CZI workshop cited deficiencies in the country’s trade policy, rampant corruption within regulatory arms of Government, bureaucracy in public offices (Ministries and regulators), extremely high taxes on certain imports and previous lack of political will to deal with the issues, as part of the major reasons fanning smuggling of goods. High utility costs, high labour costs, taxes and inefficiency of industry also make local goods more expensive than most imported products. Most local manufacturers are using antiquated equipment and technology, which also increases production costs. However, the captains of industry argued that smuggled imports were inevitably cheaper because they do not pay duties and taxes. Zimbabwe’s manufacturing sector requires around US$2 billion in capital funding for optimum operation, CZI said recently. The industrial lobby group cites the pharmaceutical sector and agro-industry as the key sub-sectors in need of urgent funding. ZNCC chief executive Mr Chris Mugaga said while structural issues of the economy are contributing to the high costs of local products, there is need to interrogate the extent to which inefficiencies caused by factors such as frequent downtime of Zimra’s customs clearing system are contributing to the smuggling of goods into Zimbabwe. Further, Mr Mugaga said there are issues to do with delays caused by Veritas, a Government agent tasked with assessing imports for quality standards, under the conformity based assessment (CBA) exercise.